Ratnagiri in Maharashtra is the perfect launch pad for anyone who wants to experience the Konkan during the rains. Walk through the fern covered streets to reach the brooding Thibaw Palace, home of the Burmese royal family exiled by the British. Just beyond, admire the views of Kajali River and Bhatye Beach. You can also visit the pleasant little house where Lokmanya Tilak was born. Ironically, Tilak was exiled to Burma by the same British! A short autorickshaw ride brings you to Bale Qila where you can peer down from the ramparts and bastions as Kala Samundar works up a furious surf, crashing against the fort walls. In the evening climb up the lighthouse to see the sun go down over the Arabian Sea. A visit to the Ganapatipule Beach to the north will give you a pure adrenal rush as the bus clambers up the edge of the hill and for a moment you will be suspended in air as the waves crash into the cliff below on your left. Take seats on the beach fringed by mist covered hills, as the sun, clouds and water come together to put up a celestial light show. 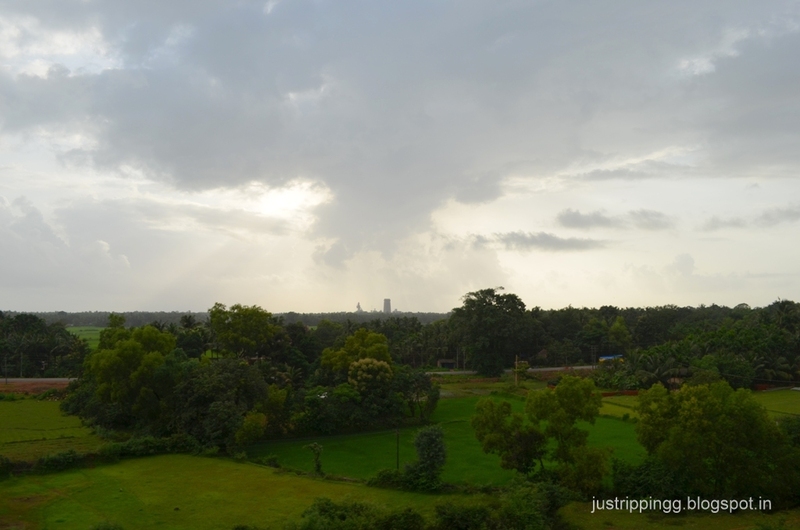 The journey through Konkan continues as we move southwards and catch a train to Goa. 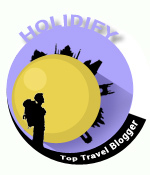 Goa Tourism has a nice property in Velha Goa or Old Goa just a short walking distance from the World Heritage group of beautiful churches. 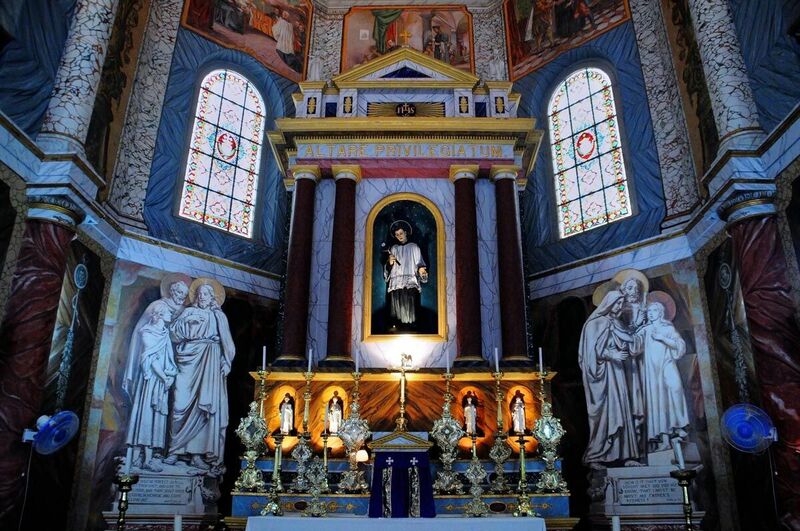 While you are on the Church Run, do not miss the ruins of the Church of St. Augustine. Once you are sufficiently awed by the splendour, walk beyond the Viceroy’s Arch to watch cars drive onto the ferries on their way across the Mandovi River. If you want to have a go at the beaches then get down at Gokarna in Karnataka. 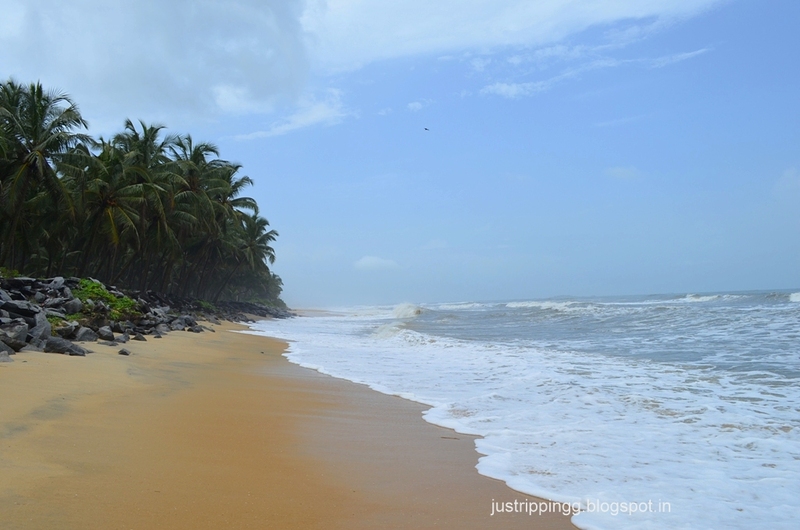 This is the undiscovered Goa where beaches are pristine and untouched by commercialisation. Play a game of volleyball with foreign tourists and then watch the sun go down at the Om Beach. If you are looking for some hours of spirituality, then get off at Murudeshwar. The huge Shiva statue and temple Gopuram towering over the sea is definitely a draw. The Madgaon-Mangalore passenger train hurtles through scores of tunnels and soars over rivers and sea, providing spectacular vistas and offering a bouquet of places where you can just get off and catch the train the next day. 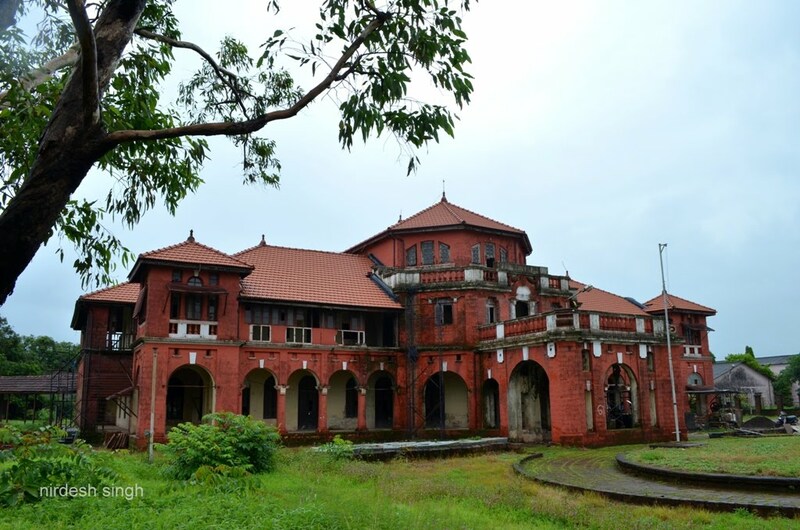 The Konkan railway route comes alive in the monsoons. Enjoy the views standing on the door and get drenched by the spraying waterfalls. Skies will darken as another bout of rain comes down. Within minutes the sky changes from broody grey to breezy blue. Udupi, the next stop, is a complete destination. Yes we have all eaten in the namesake restaurants serving inexpensive but delicious South Indian fare. 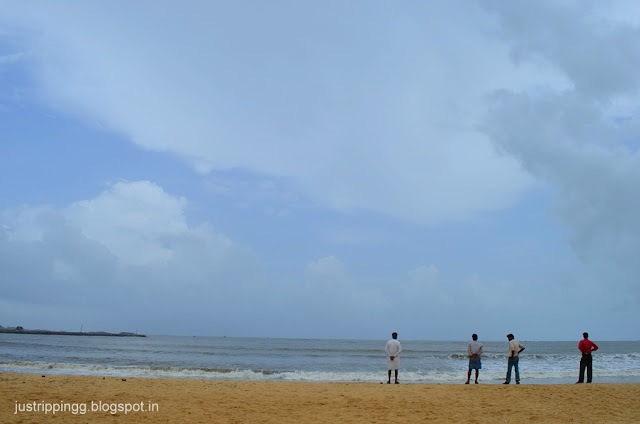 In Udupi, spend some time looking at the turbulent waves at Malpe Beach. If you are lucky, catch a ferry to go see the Geological Monument wonder of St Mary’s Island. Coming back into the city, take a walk through the old city to pay obeisance at the old Krishna Temple. Walking from the temple to the bus stand, stopover at the delightful Coin Museum and let the guide amaze you with the story of money in India as you walk barefoot among the displays. In the second half, take a bus ride to the wonderful town of Karkala. Karkala has the hill top basadi or the Jain Temple called Chaturmukha Temple. Inside the garbhgriha be ready to be astonished by the four sets of three life-like statues that glint in the dark. Few yards away rises another hill and the benevolent face of Bahubali smiles at you beyond the fort like walls of the Gomateshwara. If you have time, go see St. Lawrence Church and Ananthashayana Temple. Next day, hire an auto rickshaw to see the tiny sliver of land between the serene Suvarna River and the angry Arabian Sea. This is the surprise of Kodi Bengare where you can stand on this thin strip of land to see the raging sea on one side and the gentle river on the other. Surprises in Konkan keep coming. On the bus to Mangalore, it seems you have stepped into DTC bus. Students from Delhi studying in the colleges of nearby Manipal are heading to Mangalore to raid the malls. Mangalore will be the last stop before you retrace your path back to Goa. 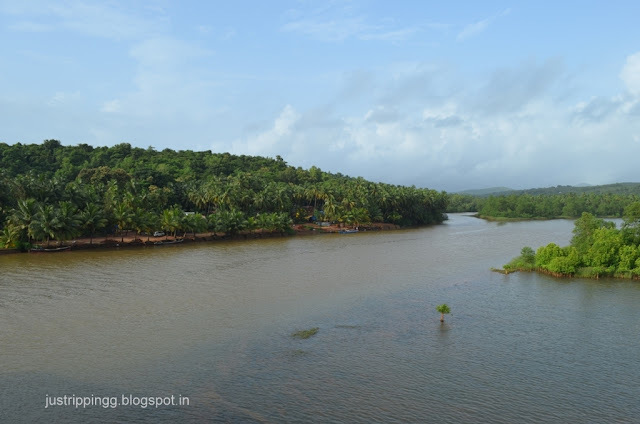 The Konkan trail is so thrilling that you want to partake it again. But not before you take a walk through the streets of cosmopolitan Mangalore and look wonderstruck at the painted interiors of a jewel box called St. Aloysius Chapel. 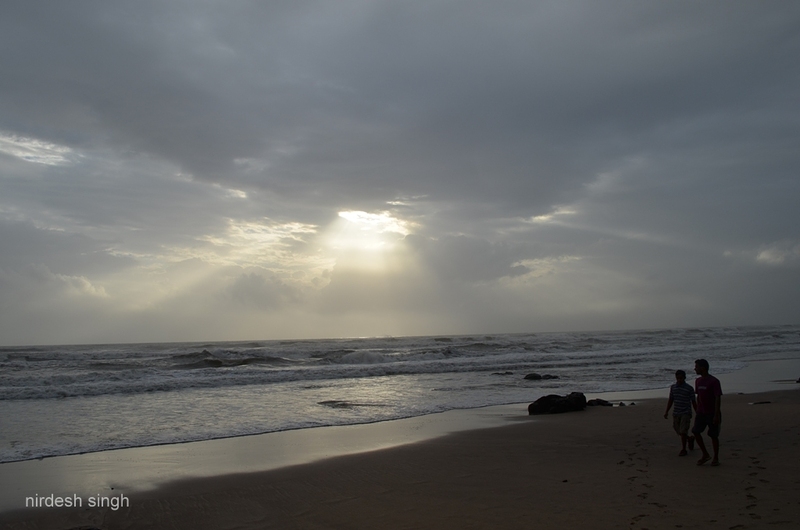 Konkan, you are beautiful and magical – let this magic continue forever. And above all, let it rain! Thanks much for reading! The post is already making me nostalgic. 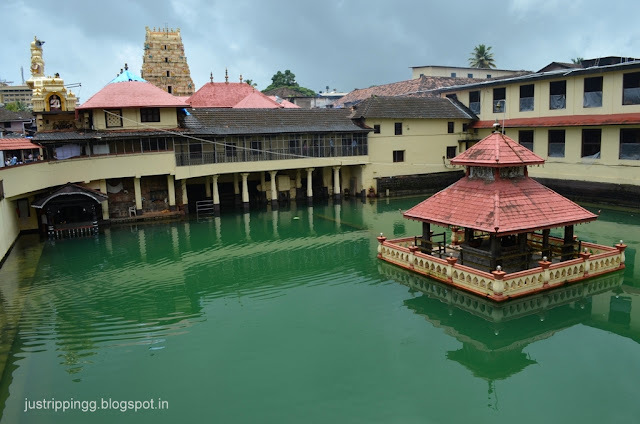 Udupi is a delight and there is so much to see including even more and bigger basadis in the neighbourhood. 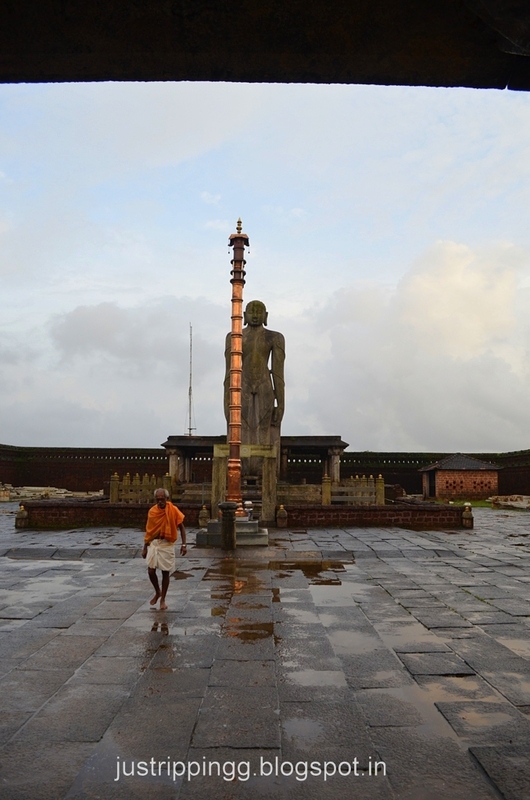 Gomateswara has to be visited in the rains. I am sure your visit is not far away. I just spent an evening in Mangalore and this church showed up on every top 10 list to see in Mangalore - and so that is all i saw there!